It was a short trip for us to Jodhpur but quite a happening one. The city is well connected through Air, Road and Railways and surprisingly, even before Delhi was declared an international Airport, Jodhpur was already a stopping point for three international Airlines, the airport being the largest in Asia. 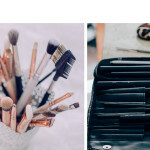 The place also offers stay options for every budget. We stayed at a budget hotel just eight kms off the main city. 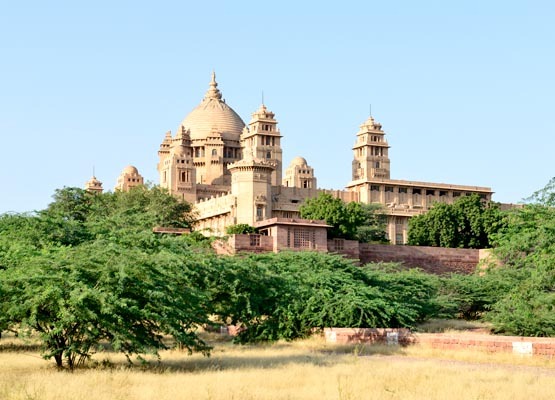 Jodhpur has a rich cultural heritage and the advantage of a smart uncrowned king who has made the city rich and prosperous by virtue of his enterprising skills has made the city self sufficient and progressive. 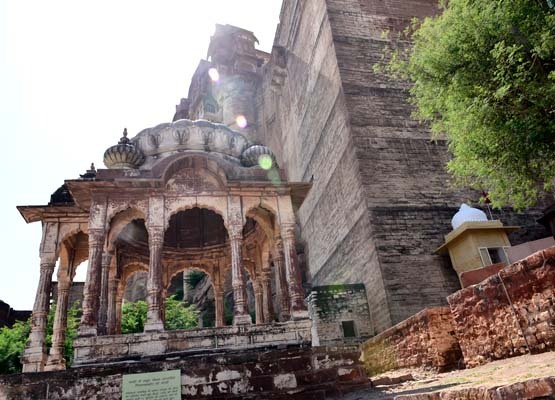 Ruled by Raja Gaj Singh till the early 1970 when the princely states were abolished, the city is way beyond its contemporaries, owing to his vision and skills. 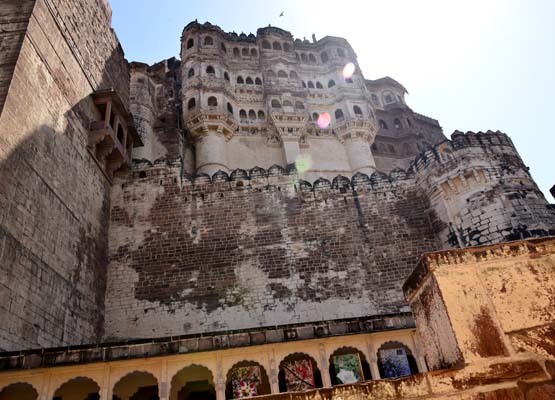 In the little time we got we managed to explore the Mehrangarh fort, the original palace where the family lived before moving out to Umaid Bhawan Palace, another exemplary piece of architecture we explored the enormous fort with its collection of armoury, pictures, Cannons and Palkis (palanquins). 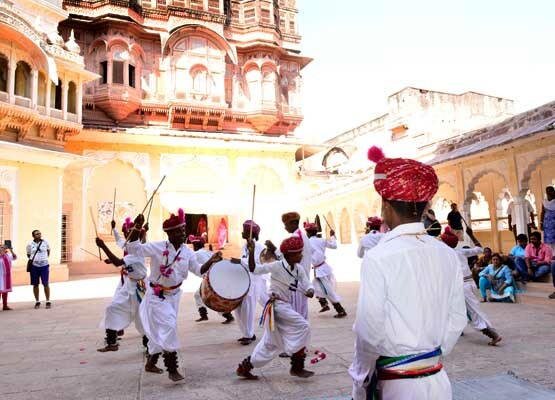 Jodhpur Art Festival was also being celebrated around the same time and we were lucky to have witnessed some of the amazing artist that Rajasthan has, performing at the fort. 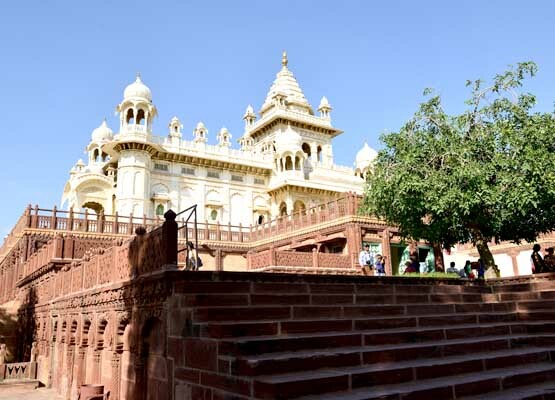 Close to the fort is Jaswant Thada, a memorial for the Royal family of its ancestors. One look and you will be impressed with the marble building that emits a soft glow in the sunshine. With a surrounding garden, pond, fountains and gazebo the place is picture perfect. Our third stop was Umaid Palace and we were greeted by a stern look from the black buck that happened to be passing by! One of the largest palaces in the world, the royal piece was started in 1929 and was completed in the early 1940s. 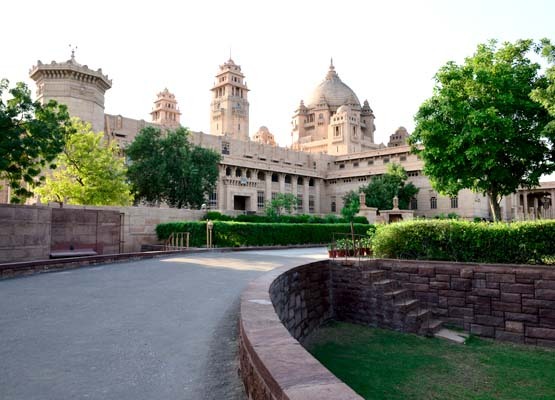 The golden coloured palace in sandstone will astound you with its lavishness and so will the collection inside. Part hotel, part residence and part museum makes Umaid Bhawan a place for everyone. It is the current residence of the royal family of Gaj Singh and a heritage hotel run by Taj Group of Hotels.